If you are looking for a bright and open floor plan on a great lot , look no further! 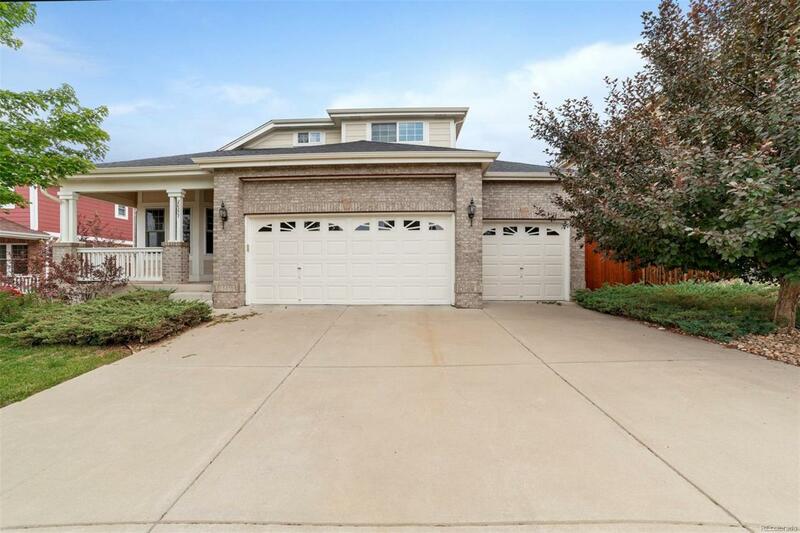 This home has 3 Bedrooms, 3 Bathrooms, 3 car garage, and room to grow with a full unfinished basement. The unfinished basement is plumbed for a bathroom. The home also offers main level living with the Master Bedroom room and the laundry room on the main level. The kitchen is open to the living room and has a double oven and stainless steel appliances. The master bedroom has a on suite 5 piece bathroom and a large walk-in closet. There are 2 bedrooms and a full bathroom upstairs. The large loft upstairs can be used for multiple things. There is central air conditioning for those hot summer days. The lot backs up to a walking trail and has a large trex deck and is fully landscaped with a sprinkler system. This home is a must see!